I sat here all night and watched the horror unfold in Dallas. I have been deeply saddened over the loss of life this week in Dallas and elsewhere. Zoe means life in Greek. We need more life and less death. Today, I honor the men and women who serve and protect our country. 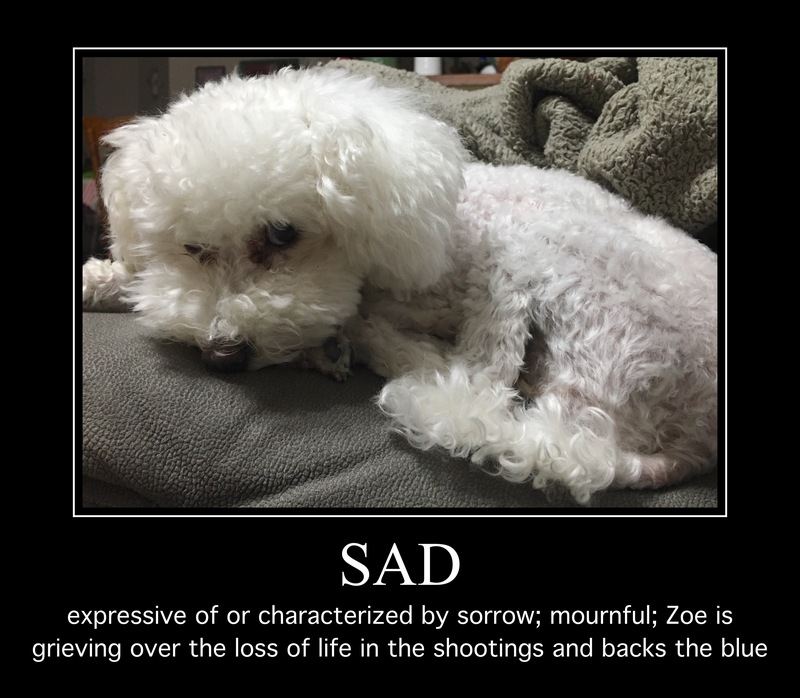 This entry was posted in Dallas, Grief, hope, Meme, poodle, Shootings, toy, Uncategorized, Zoe and tagged back, blue, dog, officers, PET, police. Bookmark the permalink.